Local newspaper Kleine Zeitung got the first glimpse at the preparation work already underway in the South West of the country. 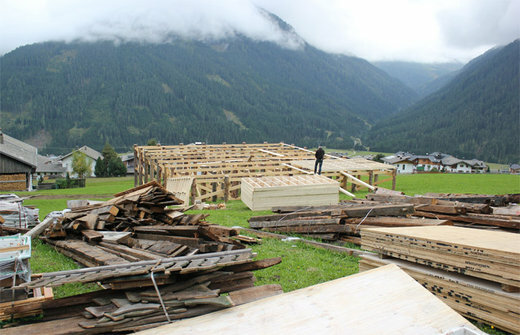 For the 24th secret agent movie Daniel Craig is expected to be for three days of shooting in East Tyrol. 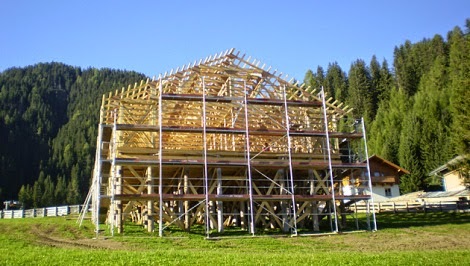 Scenes in Obertilliach are already built. 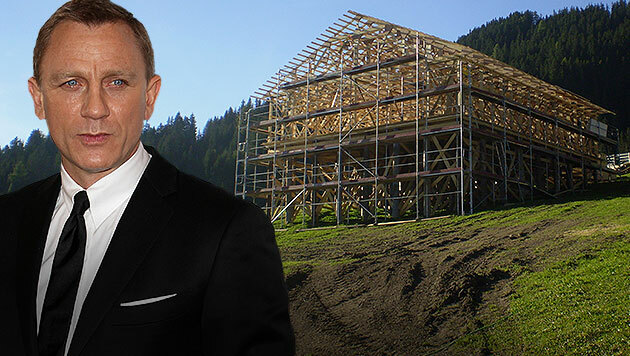 Daniel Craig is expected to be on location for at least three days, but it has been claimed that the scenes set in Obertilliach will take up about 25 minutes of screen time. Mark your calendars. Set your alarms. Principal photography on the 24th James Bond film will begin on December 6th, 2014. 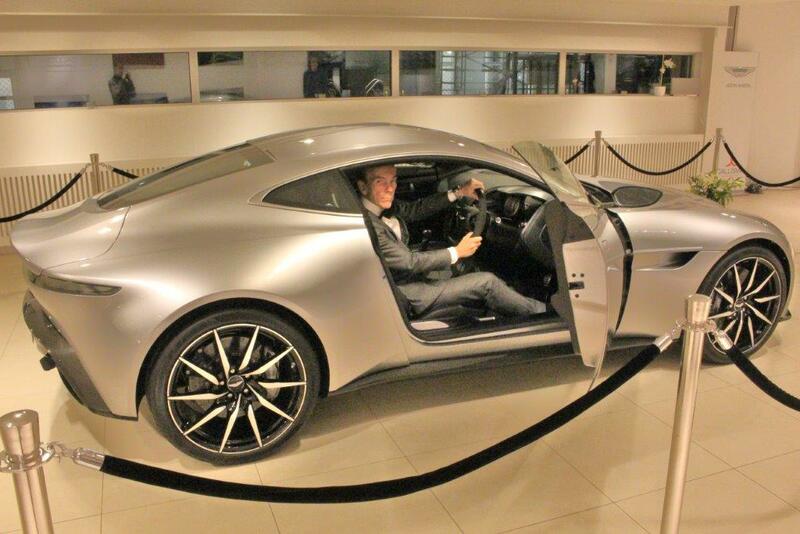 Filming Bond 24 is starting a month later than 'Skyfall', which lensed on November 3rd, 2011. Director Sam Mendes will assemble the main cast members in late November for a table read-through of the shooting script at Pinewood. Bond 24 will be Daniel Craig's fourth outing as 007. He will be joined by Ralph Fiennes as M, Naomie Harris as Eve Moneypenny, Rory Kinnear as Bill Tanner and Ben Whishaw as Q who are all reprising their roles. 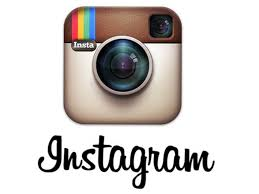 The casting process for the Bond Girls and villains is taking place now. As MI6 previously reported, the villain's henchman in Bond 24 is planned to be a classic physically imposing character who has several altercations with Bond throughout the mission. Many Scandinavian actresses have already been tested for a minor Bond Girl role, and MI6 understands the leading female role will be British. Location shooting will take place in Austria , a car chase in Rome, and a possible sequence in Morocco. Pinewood Studios in England will once again be home to 007 for studio filming. 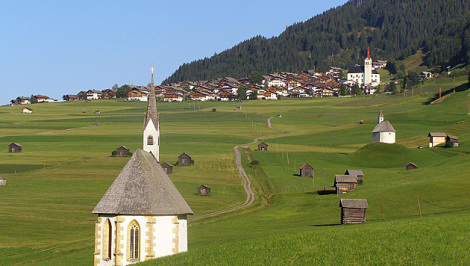 James Bond could not only spy in Obertilliach, but also in Sölden on behalf of Her Majesty. While already worked on the backdrops for the rotation to 24 "Bond" movie in Osttirol reportedly to make Sölden also hopes to use a spy, reports the "Tiroler Tageszeitung" in its Thursday edition. An official confirmation remained out.